Villa Ana is situated in the pine grove, at the one of the best location at Adriatic, close to beautiful beach and clean sea. 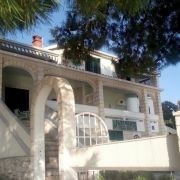 Apartment accommodation of Petricevic family is situated in Živogošće Porat, Makarska Riviera. 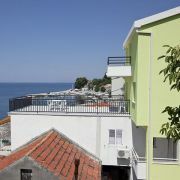 VILLA FILIP is a modern villa situated in the old part of resort, directly by the sea. 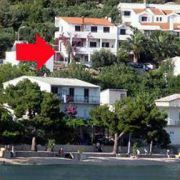 It is surrounded by historic … More » Dalmatian villas. The villa offers 3 modern equipped apartments AP2+2 and one AP4+2, with bedroom, living room, fully equipped kitchen, TV/sat, air conditioning and Wi-Fi Internet. 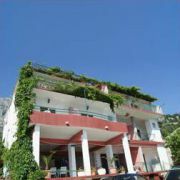 Family house in the center of resort offers 7 apartments (6xA2+1, 1xA4+2) on two floors. Ideal for an idyllic and … More » peaceful holiday in beautiful Dalmatia region, only few minutes away from the beach and sea. 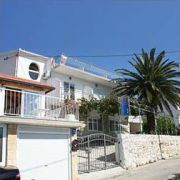 The house has private parking, barbecue for guests and a beautiful sea-view.